After enduring a short illness, on Thursday, January 24, 2019, Reginald gently closed his eyes and entered eternal rest at East Orange General Hospital, East Orange, New Jersey. Reginald Peterson affectionately known to everyone as “Reggie” began his Life’s journey in Newark, New Jersey on April 14, 1966. The only Child the Late Rev. Johnnie R. and Margie Peterson, Reginald received his education in the public school system of Newark, New Jersey. Reggie was employed by the Tubberware Company of Harrison, New Jersey. Reggie accepted Christ as his Lord and Savior at an early age, remaining faithful to God until end. 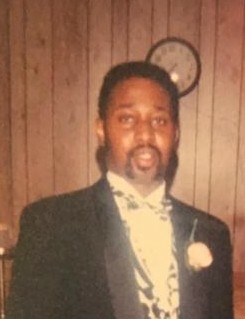 Reggie loved to sing and would lift his voice in worship and praise. Reggie is preceded in death by his father, Rev Johnnie R. Peterson Reggie leaves to cherish his memories: his mother; Mother Margie Peterson, aunts; Lois Moore of Gresham, South Carolina, Josephine Davis, & Margaret Davis of Brooklyn, New York, nieces & nephews, a host of other relatives, many friends and the bibleway family. Reginald was dearly loved by all who knew him, but God loved him best. Sleep on Reggie in Eternal rest. Remember me when you hear the wind blow, I am with God. He called my name, took my hand, we walked along the road to heaven where I belong. I felt his touch, I saw his face, I heard him say, you are home my child. So, remember when you hear the wind blow, I am at home in the care of my loving Heavenly Father.